Vietnamese government recently issued draft amendments to Decree No. 92/2016/ND-CP, which currently guides the investment and business activities in the civil aviation sector. The proposed changes, which are currently under review, will create a level playing field for foreign investors but will have a negative impact on domestic firms planning to enter the growing aviation market. The government has proposed on increasing the foreign ownership limit in a Vietnamese airline from 30 percent to 49 percent. 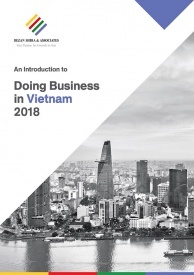 The majority shareholder should be a Vietnamese individual or legal entity. If the legal entity has foreign owned capital, then the foreign capital contribution should not exceed 49 percent. As of now, the minimum investment capital requirements for domestic entrants are much less compared to foreign investors. According to the recent draft, the government has proposed to keep the minimum capital requirements same for domestic and foreign investors. For investors setting up an airline of up to 10 aircrafts, the minimum capital requirement proposed is VND 700 billion (US$30.5 million) for domestic and international operations. 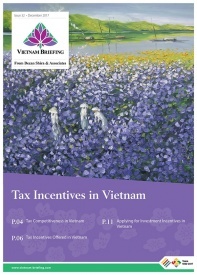 Current minimum capital requirement for domestic services is VND 300 billion (US$13 million). For airlines with 11 to 30 aircrafts, the capital requirement has been set at VND 1 trillion (US$43.5 million) for domestic and international operations. Current minimum capital requirement for domestic services is VND 600 billion (US$26 million). For airlines operating over 30 aircrafts, the capital requirement proposed has been raised to VND 1.3 trillion (US$56.5 million) for foreign and domestic investors. Current minimum capital requirement for domestic airlines is VND 700 billion (US$30.5 million). To establish an airport enterprise involved in the maintenance of a domestic or international airport, would require a minimum capital of VND 200 billion (US$8.7 million). Vietnam, one of the fastest growing aviation markets in the world, grew 17.4 percent in the last 10 years, but continues to suffer from underdeveloped infrastructure and mismanagement. The proposed changes will further open up the market for foreign investors and lead to an increase in competition and reduced fares for passengers.